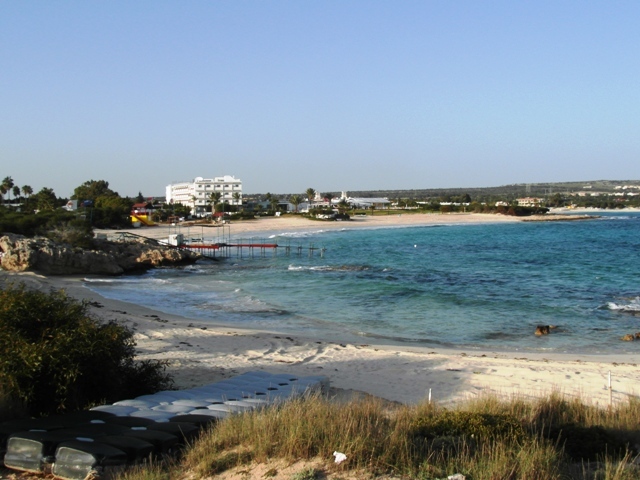 Macronissos Beach is actually made up of several small beaches interlinked by coastal pathways. 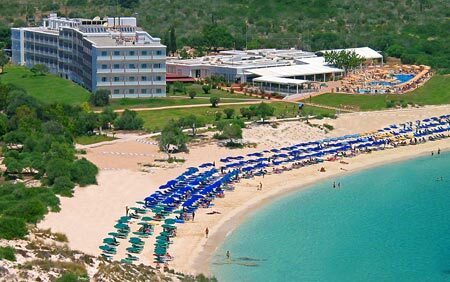 The main entrance to the beach is in between the Asterias Beach and the Dome beach hotels which sit right on the beachfront. Swathes of sand stretch in either direction away from each hotel with another smaller beach slightly further to the west. All the beaches are soft white sand and are fairly sheltered and there are watersports available as well as a snack bar. These beaches tend to be slightly quieter than Nissi beach and the beaches closer to the town centre so can feel a little more relaxing and peaceful. They are also more popular with families. 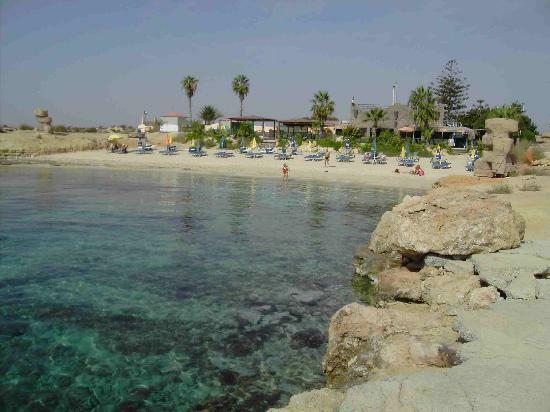 Macronissos is also home to the famous Makronissos Beach Club which has it's own small beach and restaurant. This is where events and beach parties are held through the summer. Macronissos is also where you will find one of Ayia Napa most ancient sites, the Hellenic and Roman Tombs on the peninsular along with a sanctuary and an old quarry site. Find out more about Makronissos Tombs.